Along with Salman and Shah Rukh, Aamir Khan forms the trinity of Khans which has been ruling over the Bollywood for more than three decades. 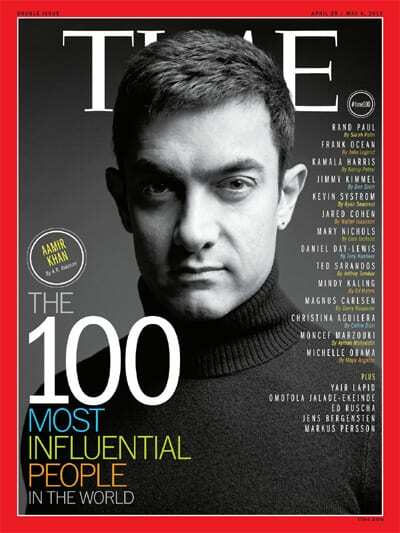 Known for his method acting and dedication towards roles, Aamir Khan has become a name synonymous with perfection. He embraces his roles to such an extent, it almost becomes impossible to recognize him in the movie. His most recent shocking transformation was for the movie Dangal. In this biopic about the famed Phogat family, Aamir Khan plays the role of Mahavir Singh Phogat, father of the legendary sisters Gita and Babita Phogat, who have carved a niche for themselves in the wrestling world and paved way for future women wrestlers of India. The story of Aamir’s transformation for the role is as interesting as the movie itself. The script required him to look fat in some parts of the movie and ripped in others. While most actors would have been tempted by the bodysuit, Aamir decided to put on real weight. When asked why he made this choice, Aamir replied, “Mazaa nahi aayega mujhe as an actor” or in English “I wold not be happy as an actor”, exactly the answer you’d expect from him. According to Aamir, gaining weight for the movie was the easiest part. “I had a ball!”, he quoted in an interview. He also shared an interesting anecdote saying that since he was already in shape, having finished PK, director Nitesh Tiwari wanted to film the part of the movie where he is fit first, and then the part where he is fat. But Aamir asked him to do the reverse saying that if he ended the movie being fat he would have no motivation to get back in shape again. At his most, Aamir weighed 97 kilograms with 38% body fat, which is a lot, given his size. He then lost all the extra weight within five months to cut down to 72 kilograms, with 9% body fat to achieve that chiselled look everyone is infatuated with. The actor underwent this fat to fit transformation under the guidance of doctor Nikhil Dhurandhar, based in America. Aamir trained at Canyon Ranch, Arizona, for the first three weeks of his transformation. With a customized calorie deficit diet plan and a gruelling workout regimen for eight hours every day, he was able to lose six kilograms of weight within a matter of three weeks. If you wish to follow the Aamir Khan Dangal workout, know that it consisted of four hours of cardio every day in the form of mountain trekking for 3 kilometres and then four to five hours of weight training, which sounds like weight loss became his full time job, and it kind of did. According to his trainer Rahul Bhatt, Aamir’s daily calorie intake oscillated between 1800 to 2500 calories, which was less than half of what he was burning. Thus, by consuming half of what he was spending, he was able to lose weight at such a fast rate. However, we cannot discount the fact that he worked pretty hard as well. 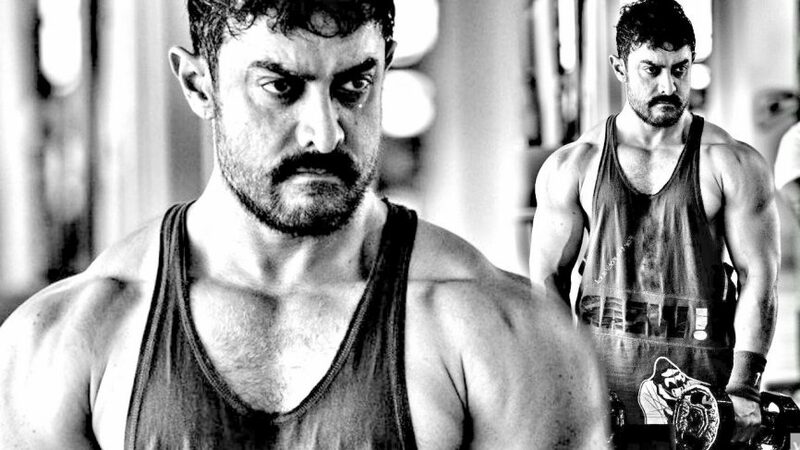 His other trainer, Rakesh Udiyar said that when Aamir would get totally exhausted they would tell him that they will reduce the weight but continue with the exercise, but they actually wouldn’t and Aamir would still complete the targeted number of reps, which goes to show just how hard he worked and how dedicated he was towards the movie. Ever since the movie has been released people have been going nuts about the Aamir Khan Dangal body. However, as inspiring as this story is, it is nearly impossible for an average out of shape person to achieve the Aamir Khan body within five months. But before you get discouraged that you cannot undergo the trending Aamir Khan transformation, there’s two things you need to take into consideration. Firstly, Aamir Khan was in shape before, as you may have seen him in PK. He had the discipline and the work ethic instilled already, to get himself to the gym, to follow a proper nutrition plan and to do the hard work that needs to be done in order to stay in shape. Since he had been in shape for a long time, he had much better metabolism and insulin sensitivity compared to a person who has been overweight for a long time. So it’s a lot easier for him to undergo such a transformation in a five month period, because he is not dealing with the same problems metabolically as a person who has been fat for a long time. The fact is that if someone is already overweight then they are struggling to find that discipline that helped Aamir big time in his journey. Thus, if you want to have the Aamir Khan body, you will also have to follow the Aamir Khan diet and the exhausting Aamir Khan workout regimen. Secondly, Aamir’s transformation was well choreographed. Everything was well planned, supervised by experienced professionals, who knew exactly what they were doing. If there’s one thing anyone should be taking away from this, it’s that a plan helps! Most people who are obese or skinny are so because they haven’t set concrete goals. People think about getting in shape all the time, but they don’t formulate a plan or set deadlines, which eventually leads to a lax attitude and the goals are never met. Also, Aamir had a little incentive because if he didn’t get back into shape, it would have jeopardized the entire Dangal project which would have been a big motivating factor. All that being said, we still can’t discredit what Aamir has achieved. He has become a master at manipulating his body within a short period of time, which is nothing short of phenomenal. However, such a rapid transformation comes with a cost. It is very unhealthy to lose weight at such a fast pace. If you put your body under that kind of stress you might end up giving yourself a serious injury. What Aamir did was for a role under the care of professionals monitoring him day and night which made sure that he stayed healthy. He stated in an interview that his doctor was against it and has advised him not to do anything like that again. On being asked whether he would do it again, Aamir replied if the role requires him to do it, he would, but that’s just Aamir Khan for you. That’s why he is favourite of most of indian and now chainease also…as dangal break all record in chaina. Due to this hard work and way of doing work , people called him Mr. perfectionist..He also got position on Times magazine “100 most influential people in the world”. If you know something about Amair khan body transformation which we forgot to mentioned then write us in comment , so we will surely add for our users.